December 18h, 2013 – Robotiq – a company making robotic tools for agile automation in manufacturing industries – is proud to announce that its 3-Finger Adaptive Robot Gripper will play a major role at the DARPA ROBOTICS CHALLENGE TRIALS on December 20-21 at the Homestead-Miami Speedway in Florida. 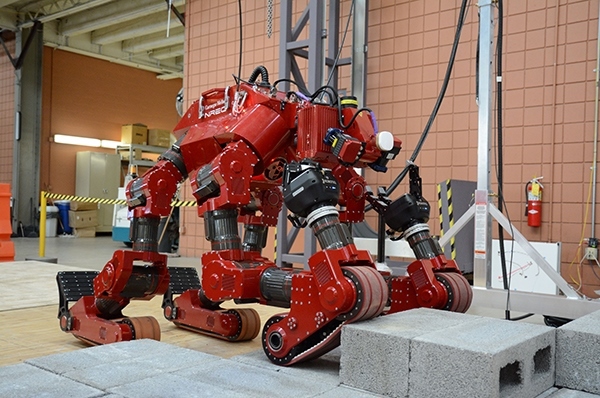 Indeed, 4 of the 17 teams that will take part in this challenge have chosen the 3-Finger Adaptive Robot Gripper for their design of a robot capable of assisting humans in responding to natural and man-made disaster, such as Fukushima. The DARPA ROBOTICS CHALLENGE is an initiative of the US Department of Defense to develop new technologies and make new robotic breakthroughs. Through this challenge, teams have had to design robots that will conduct humanitarian, disaster relief and related operations. Teams that have selected the 3-Finger Adaptive Robot Gripper from Robotiq are internationally renowned, among them are: Massachusetts Institute of Technology (MIT), the National Robotics Engineering Center of Carnegie Mellon University and Worcester Polytechnic Institute. The December TRIALS are the second stage of this competition. In these trials, the robots will have to face the difficult tasks listed above. 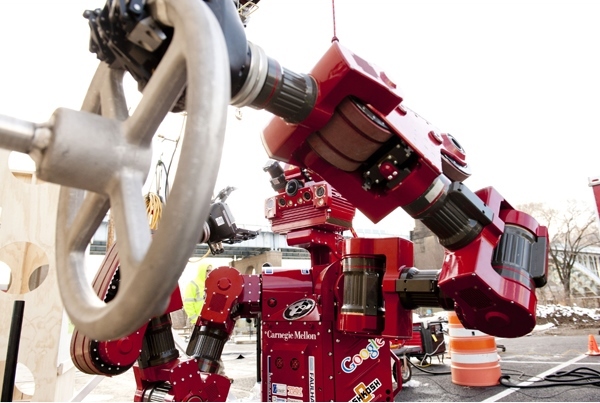 Darpa also wants to establish a baseline for robotic capabilities with this competition. These trials will determine which teams will continue to the final stage of the competition that will take place in December 2014 with one of the final teams winning a two million dollar prize, as well as the prestige of winning the competition. To see the robot designed by Carnegie Mellon University and equipped with Robotiq’s Adaptive Gripper, click here. To see the robot designed by Worcester Polytechnic Institute also equipped with Robotiq’s Adaptive Gripper, click here. Robotiq makes tools for agile automation; flexible robot grippers to handle a wide variety of parts and a robotic teaching device that makes robot programming easier. Our goal is to enable all manufacturers — especially those dealing with a high mix of products — to take full advantage of robotics. Robotiq has sold product in more than 30 countries, through our global network of partners.